"IT'S A KNOCK OUT" is one of the clubs annual events. Held in early November it involves around 200 adults with learning or physical disabilities from Special Education Day Centres in Droitwich, Evesham, Malvern, Cheltenham and two from Worcester taking part in a friendly competition. Their carers also attend. Each year the event is given a theme, in 2015 it was "Musicals". The centres are tasked with designing and producing an appropriate game for the other centres to play and the rules to play it. They also each make a "Joker" and entries for the poster competition. This gives those attending the centres a project. There is a shield for the centre winning the games, a cup for the best "Joker" and a prize for the winner of the poster competition. Everyone attending from the centres gets a certificate. The club hires one of the halls at the local Three Counties Show Ground for the event, and also arranges for extra disabled toilets and medical cover. Club members spend a lot of time prior to the event painting the scenery to that year's theme. The day before the event the scenery and all of the of the equipment needed is taken to the hall and assembled by club members and helpers, including volunteers from a local housing association and members of other local Lions Clubs. The hall is set out with lanes for the games and individual area for each of the centres. A theatre back cloth is also hired. On the day the participants start arriving around 10-30. They are welcomed by the master of ceremonies in appropriate costume along with club members also in costume. During the lunch time break dance music is played so that those attending can have a dance. Once the last game is played, the prizes presented and the participants have left it's time for the club members and helpers to dismantle everything and put it away for another year. The team from Cheltenham won the 2015 games and were presented with the winners shield. The cup for the best Joker was won by the Worcester team. A member of the Malvern won the poster competition. Our thanks go to Brookhire Malvern who provided transport free of charge and the Three Counties Showground reduced the hire charge of the venue. Festival Housing who provided man power for both the build up and on the day. Also members of the other local Lions Clubs who helped with the either the build up and on the day or both. 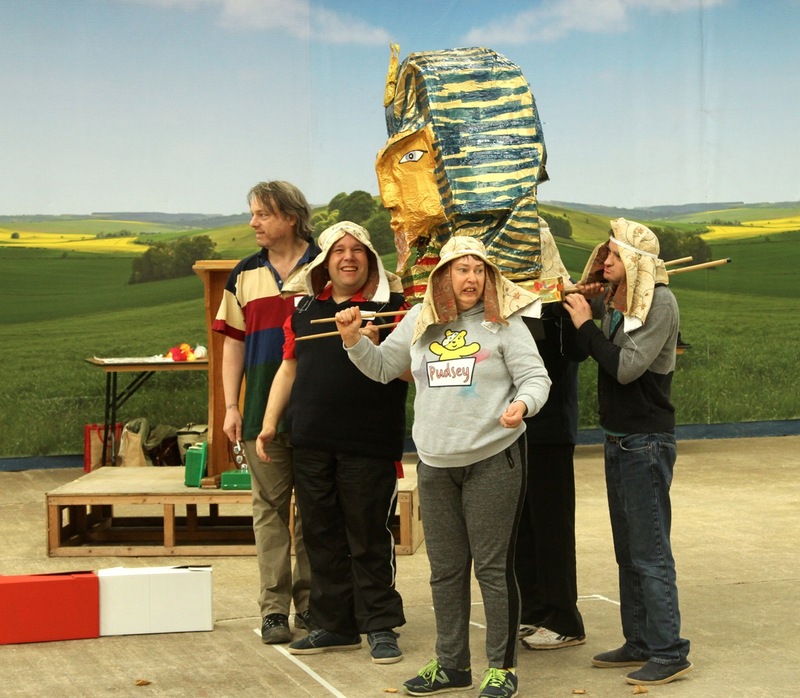 Droitwich Lions Club, Bromsgrove Lions Club, Kidderminster and District Lions Club, Marston Green and District Lions Club and Worcester Lions Club. SUPPORTING "EVENT MOBILITY". 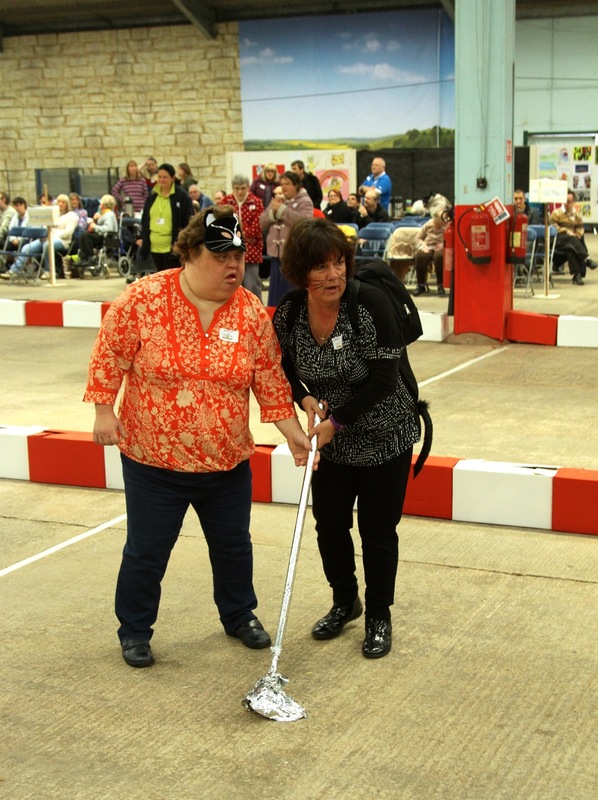 For a number of years now, Malvern Hills Lions have supported the work of the charity “Event Mobility”. This charity provides wheel chairs, both electric and manual for visitors with walking difficulties to visit events around the country. Each year they attend three major shows at the Three Counties Show Ground. The club provides man power to help the charity’s full time staff to unload the wheel chairs from their specially adapted articulated lorries and issue them to users and give them instructions at the beginning of the day. At the end of the day the club members help reload the wheel chairs on to the lorries where they are recharged ready to be used again. The reward is the smiles on the faces of the users as they return the wheel chairs at the end of the day. For many it is the only way they can get around the show and it is a highlight of their year. COMMUNITY PROJECTS. Malvern Hills Lions are involved in a variety of projects to help the local community. One such was some work club members did recently at Hastings Care Home in Barnards Green. At the request of the local Age UK, the club provided man power to lay a base and erect a summerhouse in which residents could enjoy the gardens of the home. The work also involved barrowing topsoil and compost around the site and planting up the flower beds. The Club recently funded the purchase of the equipment needed for a local Community First Responder. The picture below shows the two wheelchair adapted vehicles the club purchased for the local Community Action group. The largest donation the Club has made in the past few years. In conjunction with the local paper the Malvern Gazette, the club donates £1,000 in grants of up to £250 through the Malvern Gazette Scheme at Christmas and Easter. Local organisations that have benefited from those grants included the Boys Brigade, Scouts, Play Groups, a local band and choir who wanted help to purchase sheet music and music stands. 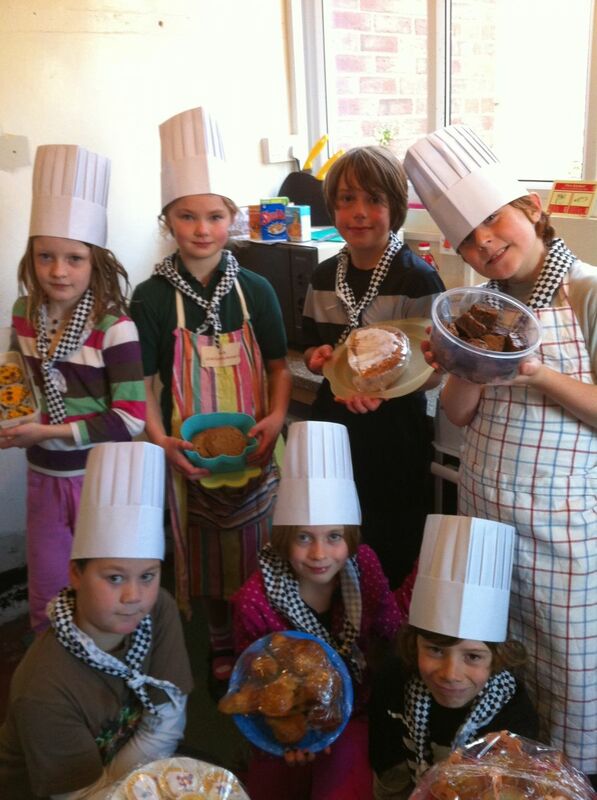 Members of a local Scouting Group with a cooker purchased with money from the Christmas 2010 round of the Malvern Gazette Scheme and some of the things they have cooked.